The last reservation of this item will conclude on May 7. For rentals that require shipping or a pickup at a non-headquarter location, please select a later date for your arrival. Headquarter offices are the only locations that can accept a same-day reservation, as transit time is not calculated in this date. 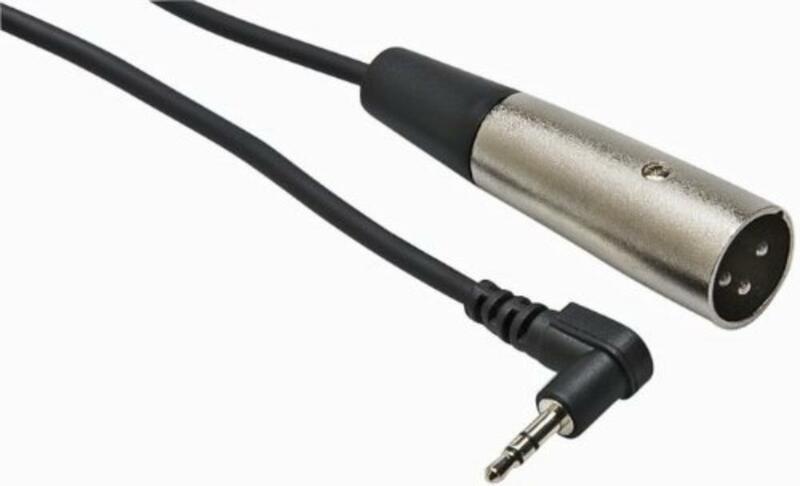 This Mini Male to 3-Pin XLR Male Cable is a high resolution, low loss cable for professional audio applications. As part of the EXF series, this cable employs 100% microweave bare copper shielding and CFP low loss dielectric for fast, accurate wide bandwidth signal transfer. EXF Cables are finished in Comprehensive's famous X-traflex black matte, non glare jacket.